A good travel app can be the difference between a smooth trip and a chaotic one. It could also save you a bunch of cash or help you find that amazing hidden gem all the tourists haven't discovered yet. Here are 10 of my favorites that I think will help you on your next adventure. Hopper helps you find flights, and now hotels, at low prices with the help of their price prediction feature. You open the app, type in where you're starting from and destination with dates. Then Hopper will tell you whether you should buy your tickets now or wait for a better price. They'll even notify you when should book your flight based on trends in the market. I've followed the bunny's advice for a couple of years now and have saved hundreds of dollars! Trust the bunny my friends. Google Maps, you know it, you love it. It gets you where you need to go at home, so why not take it with you when you travel. The app has loads of local transportation information for many countries and you can download specific area maps for offline use. You can also see information like phone numbers and hours operation for local restaurants and museums without leaving the app. 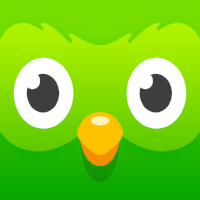 Duolingo is a language education app that makes learning a new language a blast! I'll be completely honest, my language skills outside of English are terrible. I'm using Duolingo at the moment to help me with my Spanish. The app is easy to use and is presented in a game-like format. It tests your reading, writing and speaking skills in a genuinely fun way. I really can't believe this app is free. Not a beginner to a specific language and just want to brush up on your skills? You can take a placement test so you're starting at the correct level. The languages that Duolingo offers is always growing. At the moment you can learn the following languages: Spanish, French, German, Italian, Russian, Portuguese, Turkish, Dutch, Irish, Danish, Swedish, Ukrainian, Esperanto, Polish, Greek, Hungarian, Norwegian, Hebrew, Welsh and English. WhatsApp lets you talk, message, share current locations and create group chats via WiFi or a data plan. With more than a billion daily users you better believe this app rocks! I just started using WhatsApp, I know, I know, I'm a little late to the game, but I fell in love with it pretty quickly. On my recent trip to Peru I was able to be in contact with my bosses back in the US with the click of a button. I was even able to set up a dinner for 14 people with a restaurant in Cusco while I was hiking the Salkantay Trek. XE Currency is the best currency exchange rate app out there with over 55 million downloads. It gives the most up to date conversion rates for currencies around the world. When connected to the internet or to a data plan it is updated every few minutes and even stores information for offline use. Google Translate is my best friend. OK not really, but it's so helpful! The app obviously translates for you, but can do so in a few different ways. Camera Translation - point your device's camera at text, like signs or a menu, and the translation will appear on your screen. This one is pretty obvious, but if I didn't have it on here you'd question if I knew what I was talking about. The app has over 500 million user reviews for hotels, restaurants, and tour operators. I use this app if I'm looking into booking a day tour. I love that I can book a tour, concert ticket, or even reserve a table right in the app. You can even download maps, saved destinations, and reviews so you can see all your information without running up your cell phone bill. Google Trips is the travel planning app from the one and only Google. At this point in time you cannot book anything through trips. The app finds all your books for each trip from your Gmail account and puts everything in one place. Instead of having 4 apps with different information in each and wasting 20 pieces of paper to print everything out, its all in one itinerary. The app gives you suggestions of things to do, along with discounts, information on how to get around and you can save it all for later use. Google recently released an update and you can now share your itinerary. Making this app even greater for solo travelers to let friends and family at home know their travel plans. Let's get one things clear, Lonely Planet makes the best guides. I have a small collection going and I'm not even a little ashamed. This app gives you a concentrated version of their guides right on your device. The app has over 100 guides from New York to Vienna and everything in between. Each city guide can be downloaded to your device for offline usage. Information in the guides include: things to see and do, restaurants, bars, and places to stay. There are even phrasebooks included, so you can brush up on the local language. I hate going on a trip and thinking, "Oh my God, I forogt [insert thing I forgot here]," anyone else? 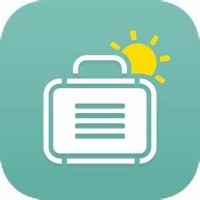 You tell PackPoint where you're going, when you're going, and what you'll be doing while you're there and the app makes a packing list for you. You can add or remove things from your list (Using Pack Premium) and when you pack simply check them off the list. What other apps do you love? Share them with me in the comments!